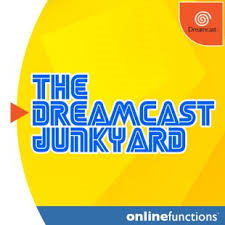 The Saturn Junkyard: The Saturn Junkyard - ANOTHER PLAYER HAS ENTERED THE ARENA! 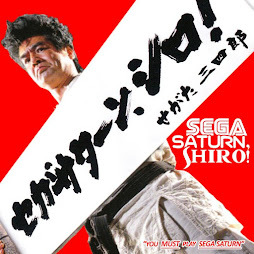 The Saturn Junkyard - ANOTHER PLAYER HAS ENTERED THE ARENA! As a new poster to the Saturn Junkyard I would like to extend my thanks to FK for his gracious welcome. I hope to add some interesting content to this blog and hopefully provide some helpful info for those interested in the retro systems left behind in the console wars. I got my Saturn at a flea market type sale in Buffalo NY. It came with 3 analog controllers and 15 games. I paid 20 bucks for the whole shebang. Damn good deal. I have been picking up games for it here and there for awhile and collected quite a few of the weirder games and less known stuff but nothing that is worth a great deal of money or is rare. Well there is some variety in the controllers you can use. I have two main ones at the moment. I have both and I have to say that I do not like the analog controller. Maybe it's good for games like NiGHTS and such but I really think the analog control is off a bit. 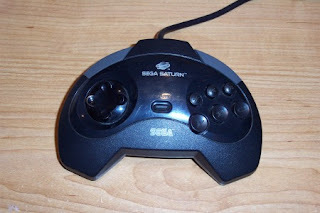 For most of the games I play on the Saturn I would go with the regular controller. 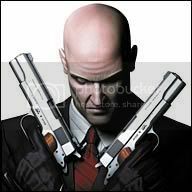 However the analog controller does make a good replacement for a light gun if you want to play a shooter and currently are not "packing". Panzer Dragoon 2...I actually have a copy of this game but it crashes after the intro video. Hold it up to a light and you see that the top layer has been scratched. *Dammit* This is actually one of the things that shows that I am an honest person. Rather than try to sell it to some poor unsuspecting person I kept the disk. I might try yet again tonight to make this game work. However, as some of you know, a disk scratch from the top means TOTAL DEATH for a CD. 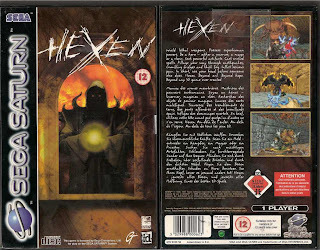 Hexen, Yeah I played through this game once on my 386 and I would love the chance for another shot. It's a fun game to play IMHO. If you love Doom try this out. $100+ American is what this will run you most places. Hopefully one day I will run into a copy somewhere. 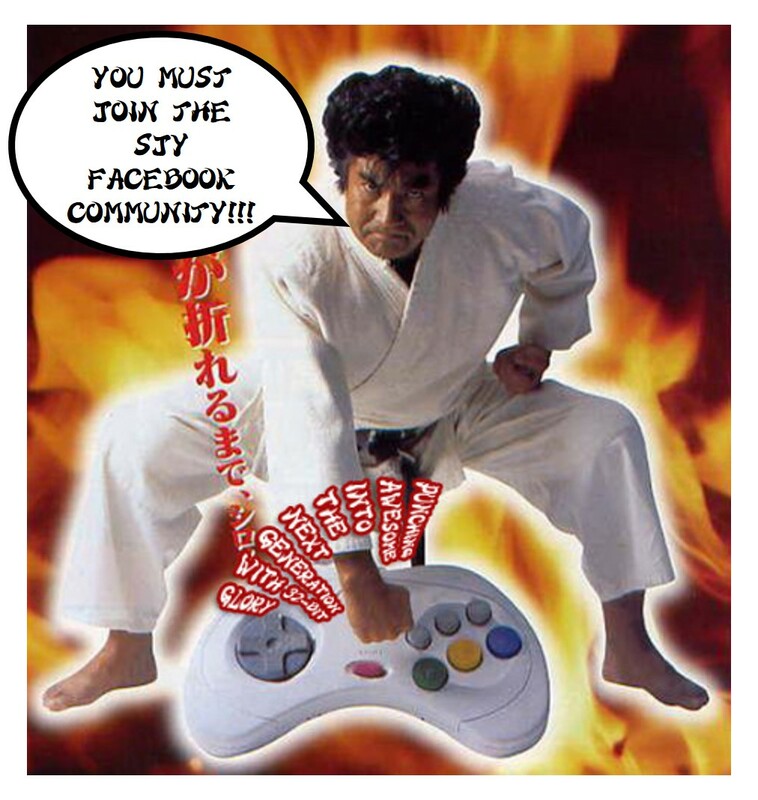 Here is a weird link that I found for a Sega Saturn FanMag. Sadly it seems to be a dead site now. They had some decent articles. A few of them of them are still up. I have no idea if the site is dead or not so enjoy while you can. That's about all for now. Stay tuned for some reviews and other cool stuff. You see? I told you great things were afoot! So now you know! A very warm welcome to my co-host Caleb! Already a much needed lease of life has been injected into the Saturn Junkyard, with great links and two games I had never even heard of! 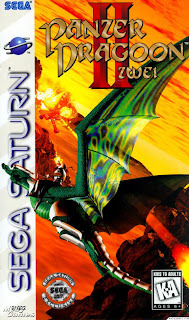 What's killing me right now is I'm almost sure I had a copy of Panzer Dragoon II! Whilst I have a few of the old analog controllers (and even some that predate the one in the picture) I don't have the 'turbo beast' - and yes! 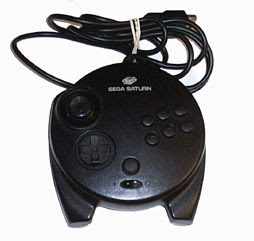 You can definitely see where Sega were going with the style and shape of the controller as they headed toward the Dreamcast! great first post Caleb! Here's too many more!!! Always good to see a fellow Saturn fan, even if he's a little late to the scene. I don't think Sega would care all that much if you found ... alternative .... ways of sourcing their games. Remember that they make the same amount of money (zilch) whether you pay a scalper on eBay or download the ISO. and you have lots of time to play. lol I know same here, I visit this site and I dont even have a Saturn. And we love you for it! 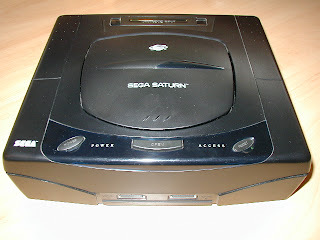 BTW You dont have to have a Saturn to enjoy Saturn games... Check out the archives... There are Saturn emulators you can run on your PC! Failing that you can experience the wonderful Virtua Cop via the Sega Smash Pack on the Dreamcast! 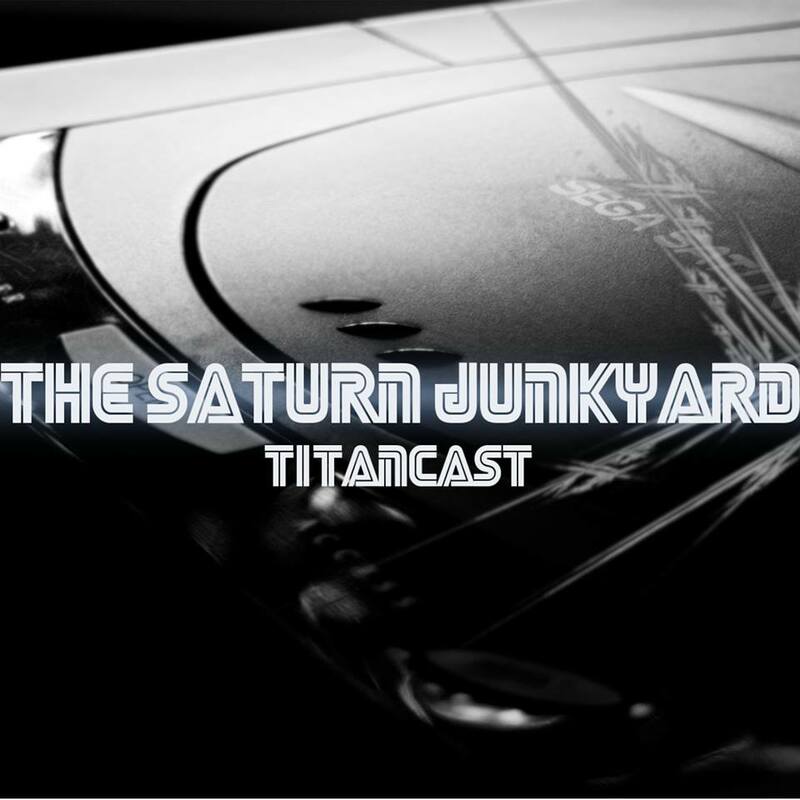 Saturn Junkyard Gets A Facelift! For all of you that missed these. Good Saturn Promos and other minor stuff. 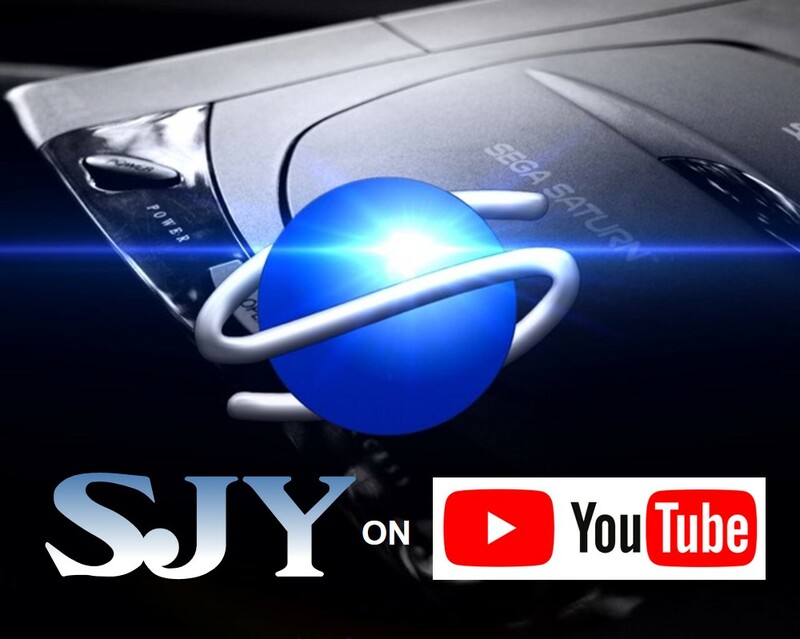 Sega Saturn Makes the News! Back By Popular Demand! By Me! The Saturn takes a Wii!!!! !